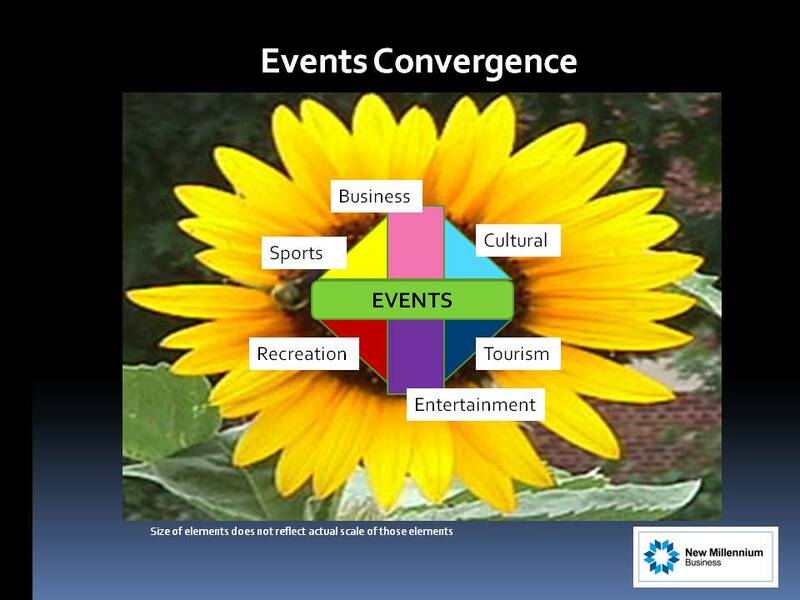 It is time for us to move beyond looking at events and tourism as separate business types. This is because there is too much interdependence between the two and moreover there is real potential in taking a measured but determined, combined view of these businesses. Where does one start and the other finish? Indeed, I believe the future success of our events and tourism industries require we increasingly view the business of events and the business of tourism within an even larger constellation – one that is built around Convergence, the convergence of vitally interconnected businesses that will position Australia with an undeniable and prevailing attractiveness and logic – and ultimately generate impressive results. 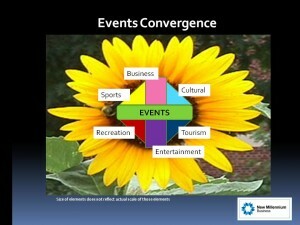 Let me call this Events Convergence for now. Neither tourism nor events are conventional businesses. Each now has a body of academic knowledge behind them but each marketplace is in such flux that the fast mover and the first mover takes the advantage and creates the structure and shape for the next round. Do we lead or follow? The Tourism & Transport Forum high-lights Qatar’s plans to spend $17 billion on tourism related projects. This, along with the enormous expenditures planned for the 2022 World Cup, their Olympics bids, other events and related infrastructure, present unparalleled opportunities for Aussie businesses. Singapore, with no resources other than its people and ingenuity, allocated $450 million in 2010 to tourism, over 5 years. Their focus is business, short stay and to a degree sporting events. Their tourism and events profile is quite different to that of Australia but as with international investment, as Singapore captures tourism and events dollars, so arguably the less we do. Taking a different path…Tanzania is promoting tourism by sponsoring soccer clubs in England and Seattle. The events and tourism markets are seamlessly global in many respects and market structure as well as competition is getting hotter. So, great successes and great prospects. This article is based on a presentation, State of Play: Australian Events on the World Stage, delivered by Eric Winton to the Australian Event Symposium 2012 – Finding our mojo: Creativity, innovation and the business of events, 14-16 September 2012. The presentation explored strategic, business and competitive pressures impacting events and tourism. Eric is director at New Millennium Business, providing strategic, marketing and business activation advice to events companies in Australia and going global, targeting opportunities overseas. 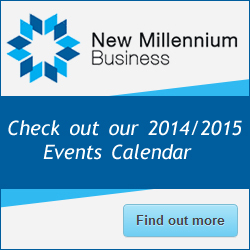 Our speciality is the business of events.